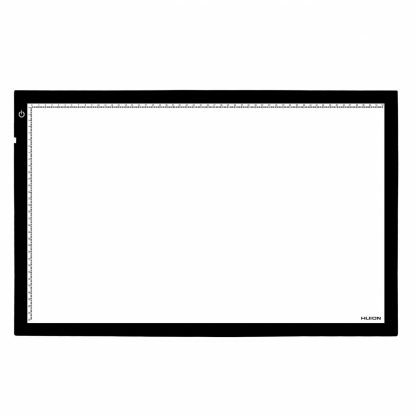 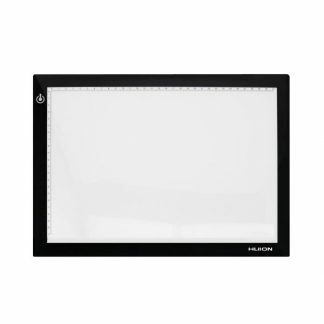 Huion LED light box comes with many super bright LED lamps which enables to see through very thick paper. 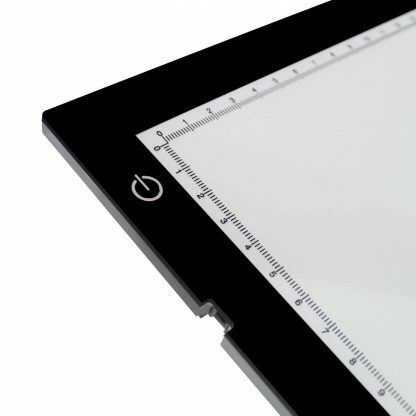 The light Box comes with a simple touch button. You only need to touch the button; you can turn on/off it and adjust the brightness as you want. 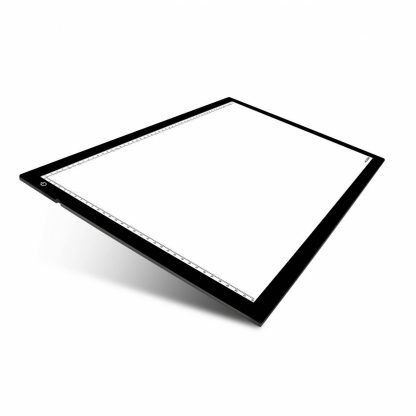 The dimming is gradual, not in steps like low, medium, and high. 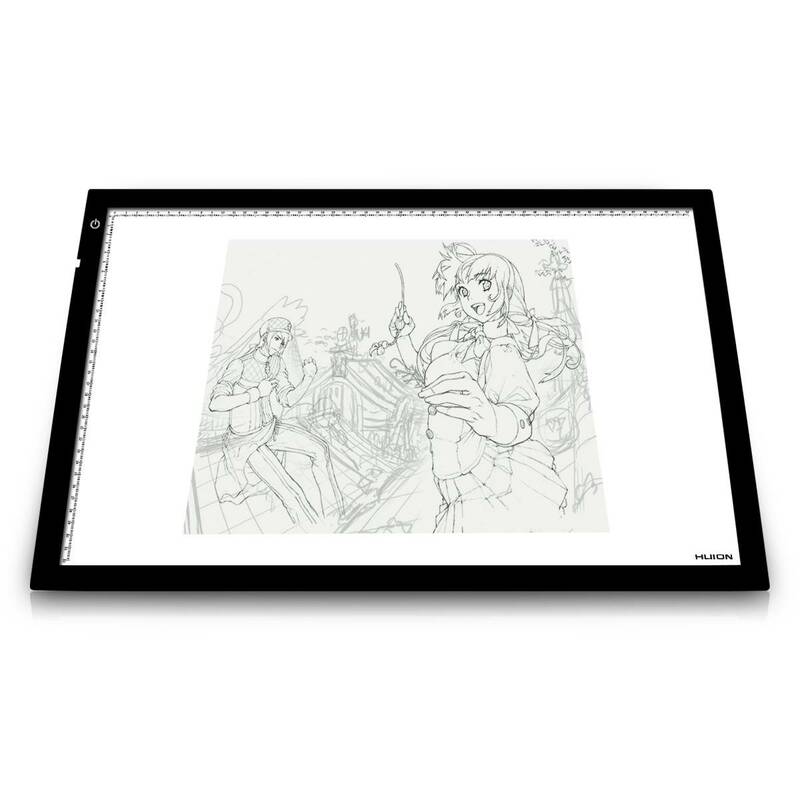 On turn on it remembers your last setting. 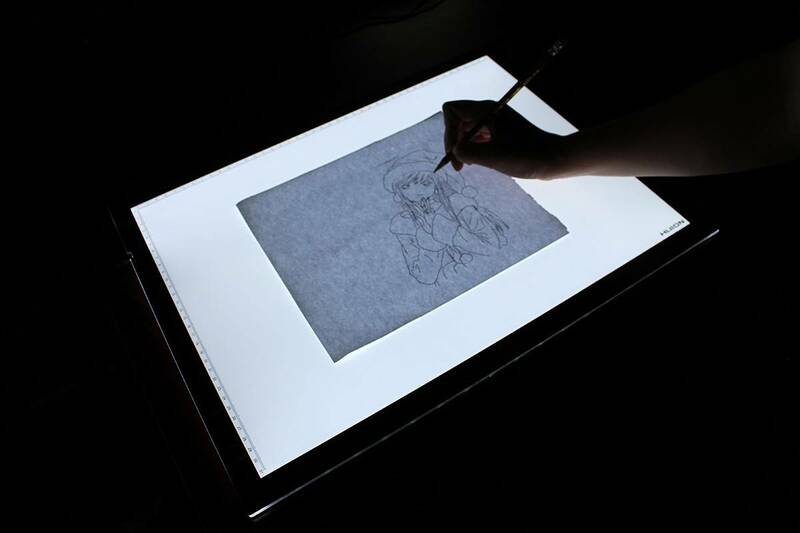 With a compact and elegant design, Huion LED Light Box is considered to be the thinner light board in the field with only 11mm of thickness. 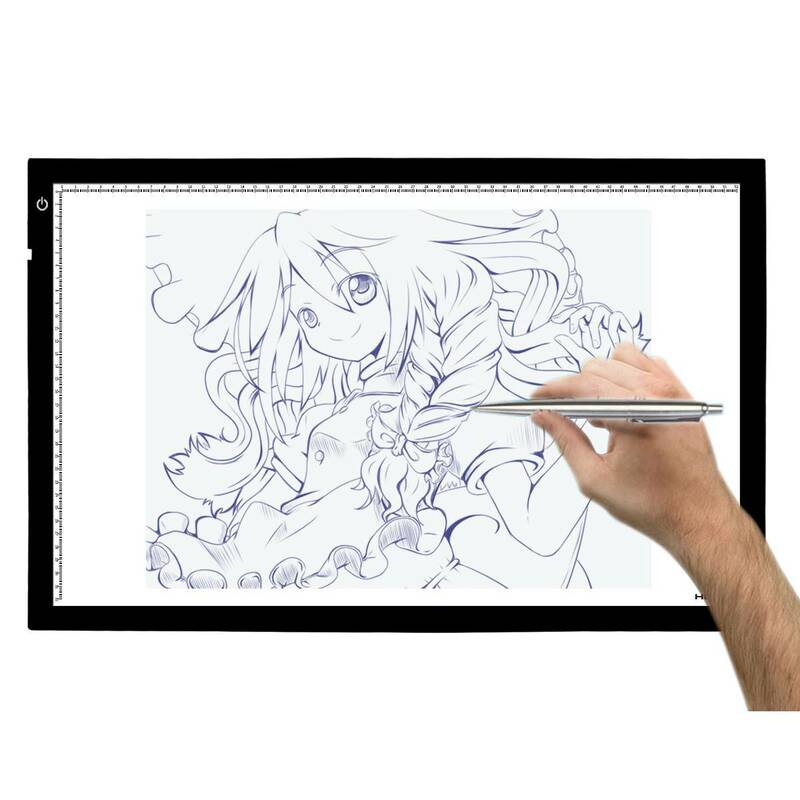 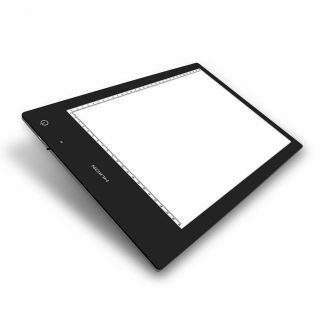 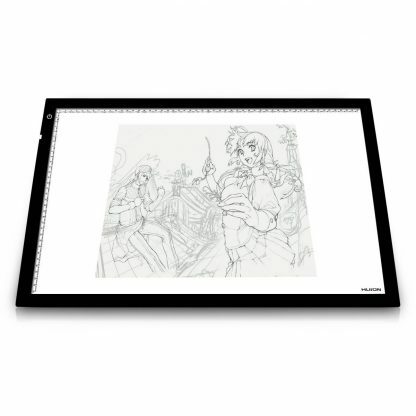 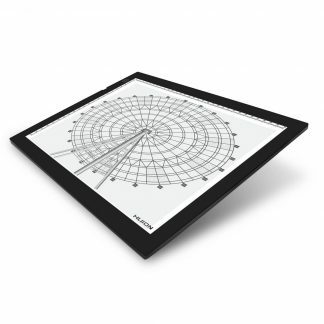 The LED Light pad is designed for everyone whether you are an enthusiastic amateur or a professional artist. 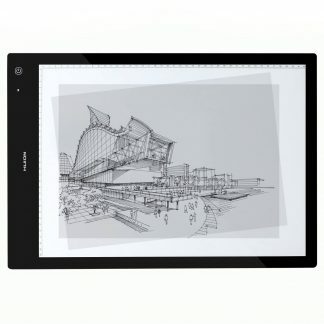 Eyesight-protected Technology is designed for perfect sketching, drawing, animation, calligraphy and tattoo tracing. The Light Pad doesn’t need to install any software, you just plug in and start your creative work.